If you haven’t tried collecting stamps yet, you might want to start doing it now. The United States Postal Service (USPS) announced that it will be adding a new forever stamp set for 2019. These new stamps will honor America’s working military dogs. The Military Dogs stamps part of a five-piece 2019 set, which includes the transcontinental railroad, Ellsworth Kelly abstract collections, Little Mo featuring a Gregory Manchess oil painting of tennis star Maureen Connolly Brinker, and the Postal Service issues Star Ribbon. “The Postal Service honors the nation’s brave and loyal military working dogs with this new booklet of 20 stamps. Each block of four stamps features one stamp of each of the following breeds–German Shepherd, Labrador Retriever, Belgian Malinois, and Dutch Shepherd–that commonly serve in America’s armed forces,” according to the statement of USPS. The stamps feature a background print of a white star, along with blue and red to give them a patriotic pop of color that makes for a fascinating addition to any stamp collection. The Military Working Dogs stamp booklet was designed by DKNG Studios, with art director Greg Breeding in charge of the stamp designs. Military dogs are an integral part of the armed forces. Interesting fact: they even hold a higher rank than their handler. That suits the dynamics between dog and handler. Handlers treat the dogs with as much respect as their higher-ranking officers. At the same time, when the canines misbehave–in other words, act like a normal, playful pooch–they don’t run into trouble for disobeying. Every mission can entail differently-skilled dogs. Military dogs can assist in locating wounded soldiers and sniffing out narcotics or explosives. They can also join raids or act as sentries in guard posts. Because of the close working environment, the dog and handler’s relationship is built on trust and camaraderie. Military dogs always go above and beyond in the line of duty. They constantly train with their handlers–sometimes even for entire days! Though for them, work can also become fun. When they slip into their fun dog-mode, there’s nothing that their handlers can do except indulge them and play fetch. What do you think of these military working dogs? 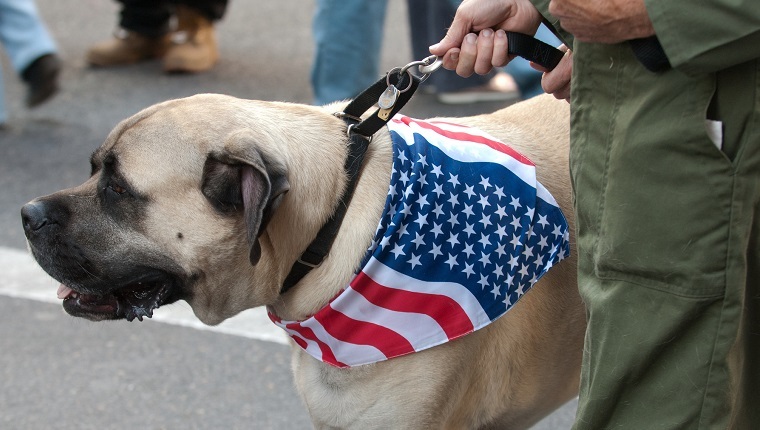 What other ways do you think we should honor these beloved furry heroes? Sound off in the comments below!